At APS we are fully aware of our responsibilities to clients, employees and the public. We are fully conversant with the Health and Safety regulations which impact upon your business. In addition we employ the services of Complete Health & Safety to oversee, advise and monitor our companie’s ongoing commitment to health and safety. 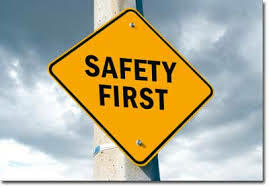 Responsibility for our Health and Safety Policy rests with our Directors who implement this policy. We are fully committed to the Health, Safety and wellbeing of all our employees, sub-contractors and all other associated personnel. All staff are trained to the best standards and regular refresher courses are provided to keep staff up to date. It is the duty of each employee to take every precaution and exercise due care to ensure the health and safety of themselves and of any other persons who may be affected by his actions. Ongoing H & S training forms the most important part of this process, and includes such things as regular Toolbox Talks, and Safety Awareness Talks. Each site is provided with a Health and Safety file which is contract specific. Each employee receives a copy of the companies H & S policy during appropriate training sessions. All APS employees are issued with a Skillcard upon successful completion of a Site Safety Awareness Training Course. At APS we take a proactive and progressive approach to H & S ensuring best practice at all times which takes account of changing legislation and on site experience.